Lexus recalls 573 ES models in the U.S. and Canada to replace faulty driver-side knee airbags. 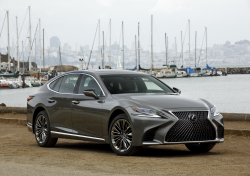 April 13, 2019 — A Lexus ES knee airbag recall has been ordered for about 560 cars in the U.S. and 13 ES models in Canada. 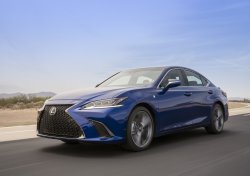 The 2019 Lexus ES cars may have driver's side knee airbags that weren't correctly fastened to the instrument panels. 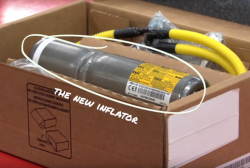 The problem was caused during production and could cause more injuries to a driver than if the airbag didn't deploy at all. 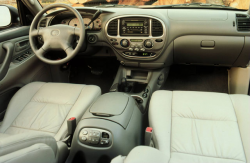 Lexus dealers will inspect the driver-side knee airbag assemblies and replace them if needed once the recall begins by the end of April 2019. Lexus ES customers may call the automaker at 800-255-3987. 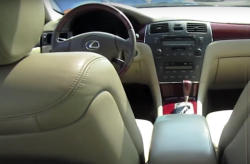 CarComplaints.com has complaints from drivers of Lexus ES models and other Lexus vehicles.